River cruises are a wonderful way to spend a holiday for so many reasons – the possibility to see lots of different places, the delicious food and the wonderful variety on offer, to name just a few. But, one of the most popular reasons why people love river cruises, is the fact that a holiday of this nature is a fantastic way to really get to know a country. Forget flying to one destination and staying there for the majority of your holiday, a cruise along the river will take you to the heart of the country – and that, is when you really get to experience different cultures, cuisines and historical features on offer. That’s where we come in – we’re going to take you through eight different rivers all over the world and what they have on offer. Not only will we tell you what you can expect from the area, but we’ll help you decide whether a trip there would be most suitable for you. Shall we get started? The Douro River flows across northern-central Spain into Portugal and then out at Porto. At nearly 600 miles in length, it’s definitely a substantial European river, but possibly not one that you may immediately think to think of cruising on. Well, think again! A cruise along the Douro is sure to keep you entertained for a week at the absolute least. Exploring fabulous vineyards, medieval towns, tiny remote villages and monasteries, plus enjoying delicious food along the way. What could be better? Not forgetting the fact the river has such a calm ambience – you could go for long spells on the calm water without seeing another boat. If a wonderfully relaxing break is what you need, then this is the river for you. If you do book a trip, don’t forget your camera as you will want to capture the stunning views you’ll see along the way! Perfect for: People who want to get away from the hustle and bustle of popular tourist spots. 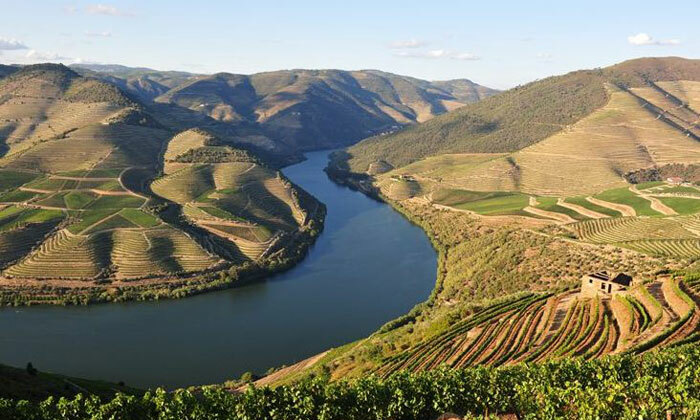 Book a tour: Our travel partner, Riviera Travel, offers a wonderful cruise along the Douro so if you’re inspired to take a trip, then have a look at what’s on offer and book a place today! The Danube stretches over an impressive 2000 miles and is the second longest river in Europe. So there are no complaints when it comes to how much there is to see on any cruise along this river. The Danube itself passes through, or touches the borders of, 10 countries: Hungary, Austria, Germany, Croatia, Ukraine, Moldova, Slovakia, Bulgaria, Serbia and Romania. Most of the river cruises tend to focus on one of the three sections of the river: the upper section (from Germany to the Devin gate), the middle sections (from Devin gate to Iron Gate), or the lower section (from Iron Gate to Romania). 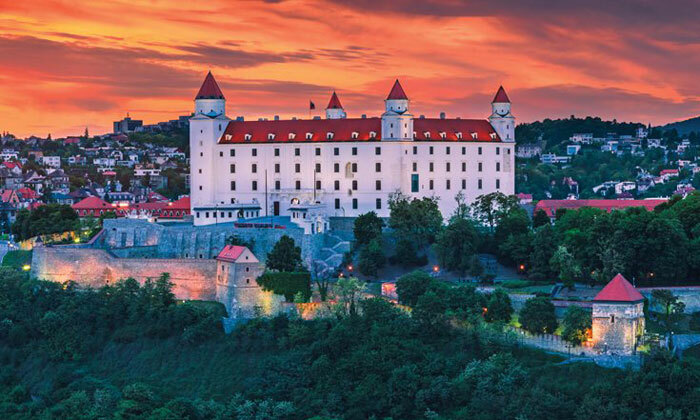 A particularly wonderful section to cruise through is from the top of Austria, down to Budapest in Hungary, as there is so much to see along this stretch. So, whether you want to discover the stunning sights in Vienna, take a look at the architecture in Budapest, or explore Bratislava, Slovakia’s capital city – there is something for everyone on the Danube. Perfect for: Someone who wants to pack in lots of sight-seeing. Book a tour: Fancy booking a trip that stops off at Budapest, Vienna, Strauss, Bratislava, Salzburg and many more wonderful places? 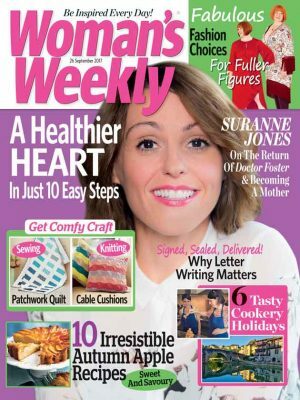 Click here to find out more information and book your place on a wonderful cruise. Starting in the Krkonose mountains in the Czech Republic, the Elbe River then runs all the way through Germany, ending its journey by joining the North Sea just beyond Hamburg. The river runs for more than 700 miles and a cruise along it is sure to give you a varied experience. Many cruises will focus on Berlin, Meissen, Dresden and Prague and it’s not hard to see why. A trip to Berlin is sure to be an unforgettable experience as you’ll be able to see where the ‘Wall’ came down, and cruising through more rural parts of Germany will allow you to learn about a different side to this country, not forgetting the wonderful city of Prague in the Czech Republic. There is so much to see and a trip along this river offers real diversity that will keep all different people entertained – make sure you book for at least a week so you don’t feel rushed! Perfect for: A family with mixed interests. 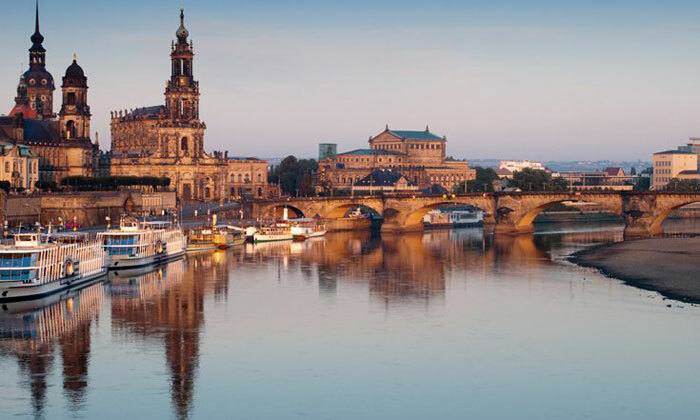 Book a tour: If a cruise along the Elbe sounds right up your street, then browse through some available cruises here. Starting as a stream in the Swiss Alps, the Rhine then turns into one of Europe’s largest and most important rivers. It travels through six different countries including Germany, Austria, Switzerland and France, and is undoubtedly one of the most popular river cruise destinations in the world. With such varied sights it’s fair to say that The Rhine is the most scenic of Europe’s rivers and with so much to see, there really is a cruise to suit everyone. 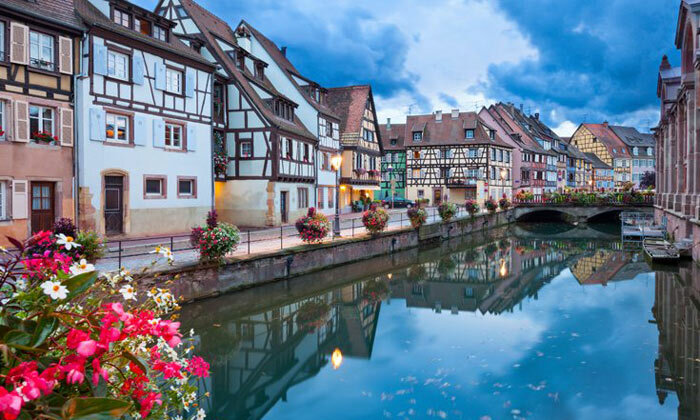 Whether it’s the picturesque mountain ranges, German river gorge, fabulous vineyards, vibrant cities or fairy-tale castles that take your fancy, you’ll be able to have it all. When searching for the perfect cruise along the Rhine, you’ll find that most breaks focus on a particular area and last for around a week. However there are some cruises that stretch over a fortnight period and offer a more extensive trip – if you can afford to, then it’s worth going for the extra time. Although a cruise on The Rhine would be fabulous all year round, one tip we always share is to try and go at Christmas. Anybody who goes on a trip from around mid-November, onwards, will find that the towns and cities along the banks of The Rhine light up with fabulous festivities. Christmas markets, plenty of delicious food, glühwein and everybody in the festive spirit – it will be magical! 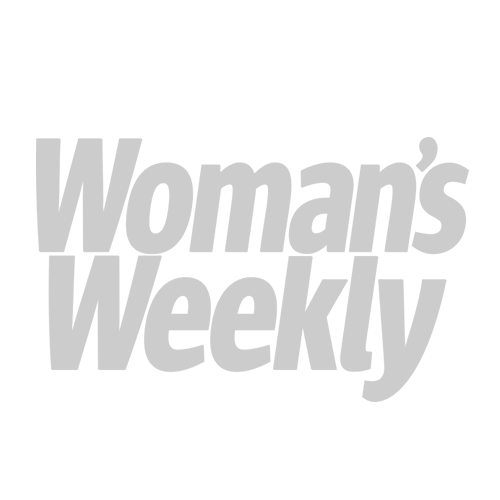 Book a tour: Feeling inspired to book a trip? Take a look at the wonderful range of cruises along The Rhine we have on offer! The Irrawaddy River runs from high in the Tibetan mountains all the way through Burma – it is the country’s largest river stretching for nearly 1400 miles. The Irrawaddy is fast becoming one of Asia’s most popular river cruise destinations and we’re here to tell you why. 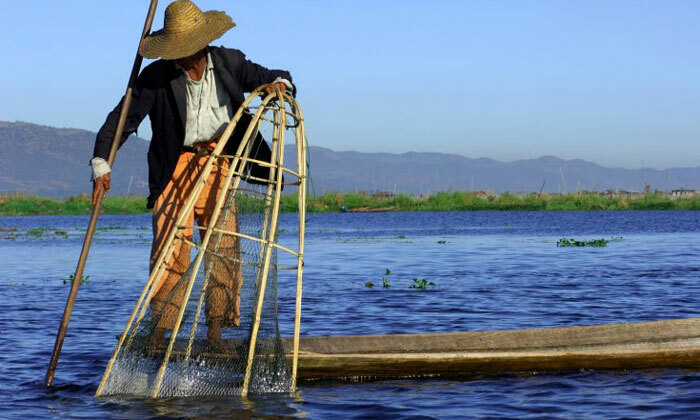 If you’re the kind of person that wishes they could step back in time, to when there were no mobile phones and no internet to connect to, then a trip along the Irrawaddy could be just for you. Perfect for: Those who dream of stepping back in time. 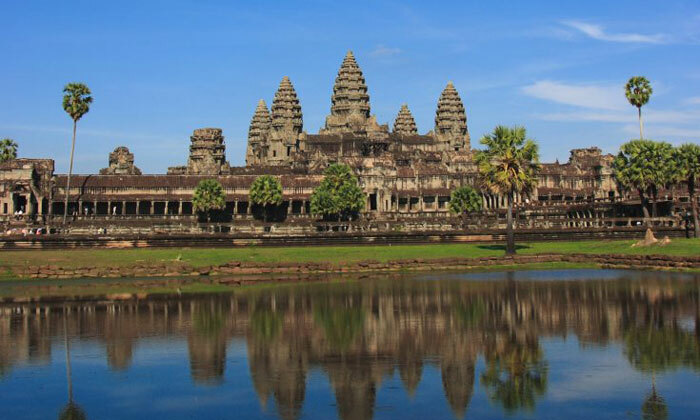 Book a tour: If a cruise along the Irrawaddy sounds like your idea of heaven, then take a look at the fabulous river cruise we have on offer. The mighty Mekong River flows through south-east Asia and is the world’s 12th longest river, travelling for over 2700 miles. To give that distance some scale, think about this: the river runs through China’s Yunnan province, Burma, Laos, Thailand, Cambodia and Vietnam – quite impressive! The Mekong, like many rivers, is an important trade route between western China and south-east Asia. The name Mekong translates to ‘Mother of Water’. Throughout the river’s course the water can really vary from being fast-moving and very deep, to a lot more shallow and slower – this in turn attracts all kinds of different fish. As you can imagine any cruise along the Mekong is bound to include plenty of wonderful sights. Due to the amount to see, most trips will last for at least two weeks and this is advisable to make sure you pack in as much as possible. If you choose to cruise along the Mekong you’re likely to see some fantastic sights like nowhere else in the world, including – floating villages, stilt houses, gorgeous temples, farmers at work and even floating markets. It will be a trip you’ll never forget! Perfect for: Somebody up for an adventure. Book a tour: To book the trip of a lifetime, take a look at the wonderful trips available with our cruising partner. The Rhone rises in Switzerland, passes through Lake Geneva and then to south-eastern France. 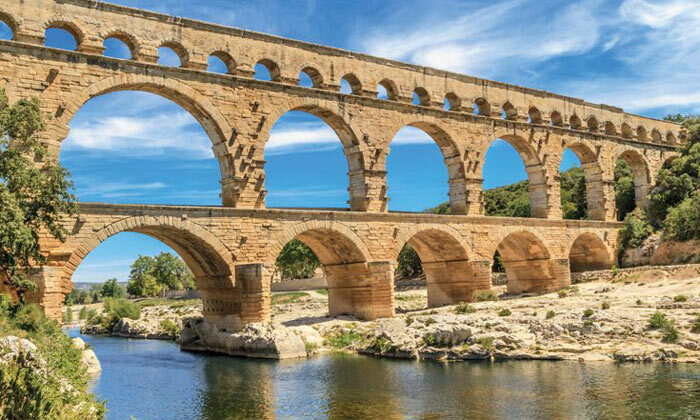 At over 500 miles long, it is one of the biggest rivers in Europe and historically was a crucial connection from the Mediterranean to east-central Gaul and was heavily used by Greek and Roman traders. The river is famous for the ‘Rhone Valley’ which stretches from Lyon (where the Saone joins) down to just short of Orange, in Provence. Most river cruises will focus on Chalon, Lyon and then the southern part of the Rhone Valley. If you love your wine, a trip along this river could be just the thing for you. Rhone wine region is famous for producing numerous delightful red, white and rose wines, using a variety of the Syrah, Viognier, Marsanna and Roussanne grapes. But if wine isn’t your thing, then there is still plenty to see. Architecture, art, museums and delicious food are a definite on a trip along the Rhone – plus, it’s such a wonderful way to see southern France. Book a tour: Book a trip that not only cruises the Rhone, but also spends time on the Saone River as well… find out more cruise details and book your place here! At nearly 500 miles long, the Seine which flows through France’s capital city, is a substantial European river. Most will have heard of this river as it flows through Paris – the water passes under more than 30 bridges in the city, some of which are famous landmarks. The river itself has been quite an inspiration to some of the world’s greatest artists: Claude Monet, Henri Matisse and Raoul Dufy all wanted to capture its charm. 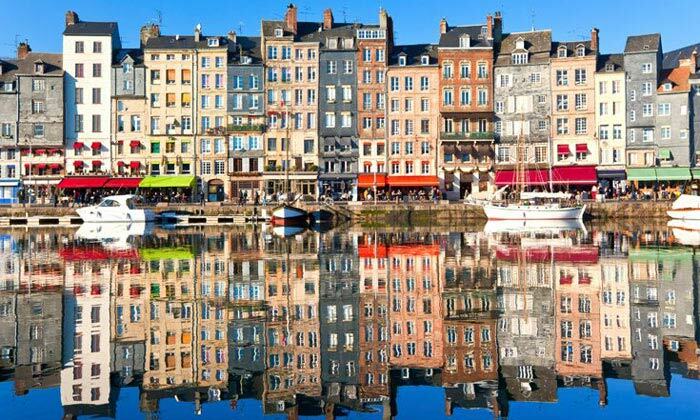 But it’s not just a beautiful river to look at – it has served as an important commercial waterway in France too. The Seine stretches from Seine, near Dijon, all the way to the mouth of the English Channel. And a cruise along this will give you views of some wonderful sights: Notre Dame, the Eiffel Tower, Louvre in Paris, and also likely take you to Vernon, Les Andelys, Rouen and Caudebec. Perfect for: People that want to get to know real France.